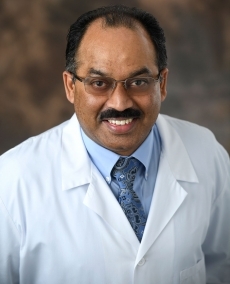 Dr. Bomma is a board-certified clinical cardiac electrophysiologist and cardiologist with AdventHealth’s elite cardiology team in Central Florida. He joined AdventHealth Medical Group aftersix years in private practices in the Orlando area. Prior to that time, he completed eight years of post-doctoral fellowships, including a clinical research fellowship in cardiology at Johns Hopkins University in Baltimore, a clinical fellowship in cardiology at the Ochsner Clinic Foundation in NewOrleans and a clinical cardiac electrophysiology fellowship at the Universityof Virginia in Charlottesville. He specializes in complex ablation procedures for arrhythmias as well as implants and explants of most cardiac devices. With his easy-going and approachable manner, Dr. Bomma makes it easy for his patients to put their trust in him both as their doctor and friend. He treats his patients as if they are his family members. Dr. Bomma’s guiding rule is “do no harm.” He believes that having this as a first principle helps doctors like him to solve cardiovascular disease and reduce risk factors to the best of their ability. He also believes that high-quality care and involving patients and their family members in disease management and prevention planning are key to successful outcomes.